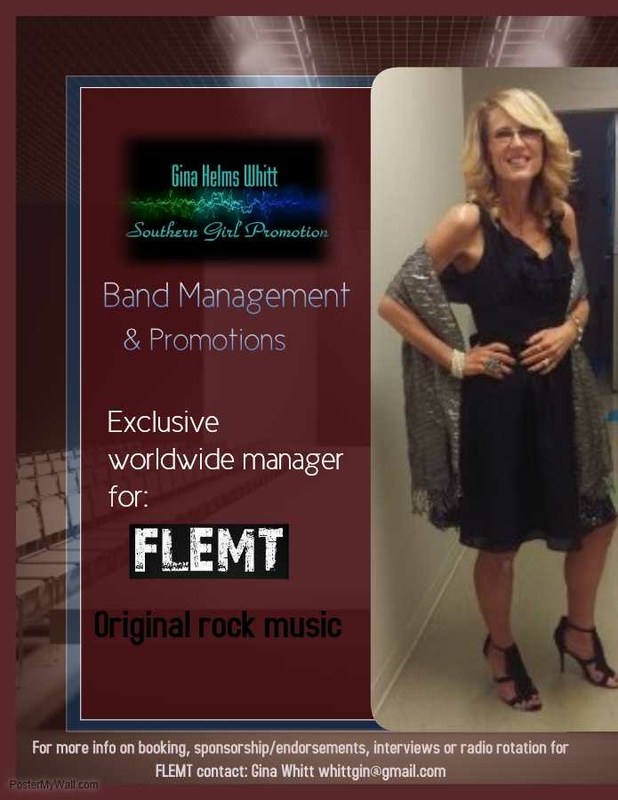 Southern Girl Promotions, LLC was created to give ..
Southern Girl Promotions, LLC was created to give FLEMT the best professional representation possible. As you can see from my title that I'm a LLC and have been from the beginning. With my organizational skills I could probably retain several clients with success but I prefer to put all my efforts and resources into FLEMT's future. I never want to get satisfied with what we accomplished yesterday. Each day is new and full of promise to reach our ultimate goal. If you are a corporation or an individual that's passionate about music and you would like to get involved, I encourage you to sponsor us. Bands need professional marketing and promotion. If you know anything about the music world then you know touring is imperative. You have to get out there and do live performances, meeting the fans. Of course there's many expenses involved in touring: airline tickets, other travel costs, hotels, food and visas. We would welcome corporate sponsors & backers to help us build our future. You can contact me at: whittgin@gmail.com or message me.